Andrew Collins has been working in TV, radio and print for over 25 years. He has honed his experience and expertise in these fields via music journalism, magazine publishing, live radio, and live and scripted comedy. Andrew has worked on both sides of the camera on countless TV programmes, hosting ITV film review show Collins & Maconie’s Movie Club; guesting on The One Show; fronting BBC Four documentary The Making of Life On Mars; appearing as a contestant on Celebrity Mastermind; and anchoring BBC Radio 1’s live coverage of the Brits and the Mercury Prize. As a pundit he is in demand, with a range that covers cinema, TV, comedy, music and cultural history. Andrew has built up a considerable CV of talking-head shows, whose producers know he will deliver on the day: cutting his teeth on BBC’s iconic I Love the 80s, he’s contributed to some 50 such shows this century, including the 100 Greatest series, Britain’s Best Loved, The Pop Years, Shameful Secrets, Best of Bad TV, Shocking Moments, The Story of …, ITV3’s The Crime Thriller Club, Doctor Who Confidential on BBC3 and the cultural history strand Timeshift on BBC Four. He is the author of three volumes of humorous memoir, Where Did It All Go Right?, Heaven Knows I’m Miserable Now and That’s Me in the Corner, as well as being the official biographer of musician Billy Bragg, having updated the book Still Suitable for Miners four times since its first publication. In 2016 he even travelled the country meeting every family on Channel 4’s Gogglebox in order to author the official Gogglebook. He has been presenting his own weekly TV review Telly Addict since 2011, first for the Guardian and latterly on broadcaster UKTV’s YouTube channel. Establishing himself as a prose writer on publications including the NME, Q, the Guardian, GQ, the New Statesman, Word and the Times, Andrew moved into scriptwriting via BBC radio, co-writing the comedy series Fantastic Voyage for Radio Five in 1992. This led to lengthy writing engagements on soaps Family Affairs and EastEnders. (He is particularly proud of his achievements on Albert Square, which included introducing a goldfish called Posh to the cast and killing Nick Cotton’s son Ashley.) Having written the MTV Music Awards for two consecutive years, he co-wrote eight-part sitcom Grass for BBC3/BBC2 with Fast Show star Simon Day (the pair also collaborated on Sky Atlantic’s Common Ground), and helped create and write Not Going Out, currently the longest-running sitcom on TV, with star Lee Mack – for which they won a Rose d’Or and the RTS Breakthrough award. He co-created and wrote Gates for Sky Living with a storylining team including Jennifer Saunders. His first solo sitcom, Mr Blue Sky, ran for two series on BBC Radio 4. As an in-demand script editor, Andrew has credits on Sky1’s Little Crackers, two series of Badults for BBC3, Drifters for E4 and the pilot of Greg Davies vehicle Man Down for C4. He has also worked in development on TV projects with comedians Simon Brodkin and Joe Wilkinson, and actress Natalie Cassidy. In 2014, Andrew was a Script Consultant on the hit movie The Inbetweeners 2, which made over $63 million at the box office. 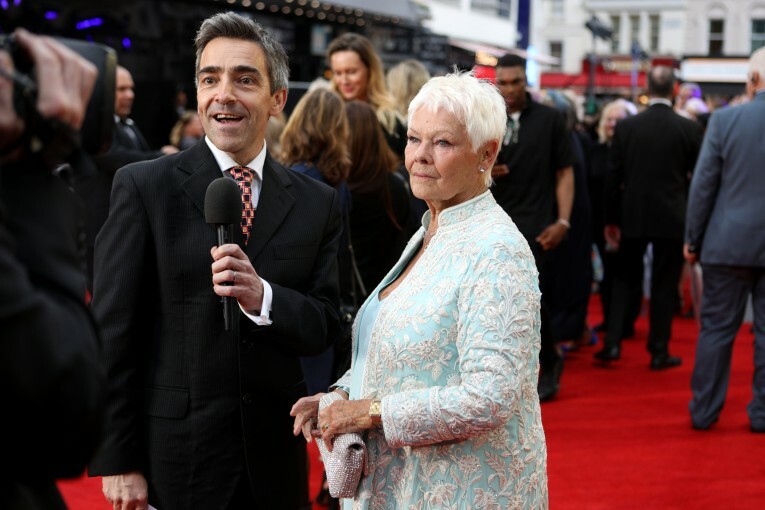 Over the years, Andrew has built up a particularly stellar portfolio of interviewees and has become a regular host on the red carpet, his most recent being Universal’s Victoria and Abdul starring Judi Dench. As a music writer and editor for NME and Q magazine he interviewed Paul McCartney, Bon Jovi, Blur and Bob Geldof. At Empire magazine, he spoke to Robert Duvall, John Cleese, Samuel L Jackson and the late Robin Williams. Over 15 years as Film Editor at Radio Times, he’s interviewed Steve Coogan, John Peel and the casts of Star Wars, Cold Feet and Peaky Blinders. On BBC radio and Classic FM, he’s interviewed Tom Hanks, Johnny Depp, David Lynch, Kevin Costner, Matt Damon, Sir Michael Caine, Woody Allen and Spinal Tap. A regular deputy of Mark Kermode on the BBC News Film Review, Andrew’s film knowledge has seen him host packed live events such as screening and Q&As at the BFI and BAFTA, Edinburgh TV Festival and the Guardian, quizzing such heavyweights as Kiefer Sutherland, Terry Gilliam, Michael Moore, Simon Pegg and Christopher Guest, as well as the cast of Spaced, Doctor Who showrunner Steven Moffat, magician Dynamo and the makers of Lost. Comfortable around talent at all levels, Andrew puts his subjects at ease and uses humour and a deep knowledge of film, comedy, TV and music to provide an entertaining forum for both subject and audience.